You can’t scale your B2B business without a healthy dose of new leads entering the funnel. With the right approach, an outbound email marketing campaign can keep your brand top-of-mind with your customers and lead to more deals being closed. When it comes to inbound vs. outbound marketing, it seems that inbound has been getting all of the attention lately. But the nature of inbound marketing requires that you wait patiently for your potential customers to discover your content and opt-in. On the other hand, emailing a targeted list of cold contacts can put your business in front of thousands of potential leads at once. This is an explosive and sustainable way to generate B2B leads for your sales and marketing teams. In this post, we’ll provide some valuable tips for generating warm B2B leads using a prospecting email campaign. First, let’s be clear about the difference between inbound and outbound email marketing campaigns. The inbound method relies on your prospects to fill out a contact form on your website, to opt-in to receive your messages. You can use an email marketing software such as HubSpot or MailChimp to contact this permission-based list. The prospects have agreed to receive regular communications from you whether that includes updates, announcements or an offer to purchase your product or service. The problem with inbound is, you have no control over the speed at which your list grows. If you have identified your target customer, and their lifetime value justifies reaching out via a cold call or email – it’s time to leverage the speed and directness of an outbound email marketing campaign. Imagine this tactic like making hundreds of cold calls at once (and much less intrusive). The biggest difference between inbound and outbound email marketing is that sending to a purchased list must be handled carefully. A dedicated email lead generation software will use its owns domains and IP’s to ensure that you don’t get blacklisted or ruin your sender reputation. The reason it’s called outbound is because this method requires that you actively reach out to non-subscribing people directly through email. The slow process of organic list building will push new leads into the funnel, but not at the rate you’d hope. 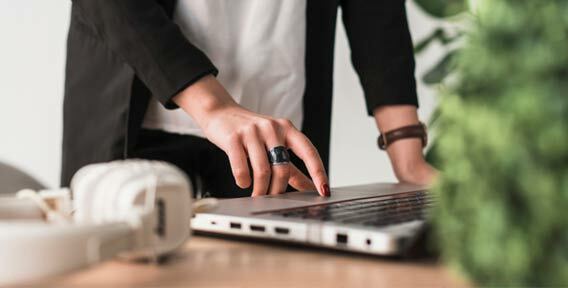 By sending emails to cold contacts on a targeted industry-specific list, you have an opportunity to reach new leads that have not yet heard of your business. Those that choose to respond to your message can either opt-in to your marketing automation for nurturing or move directly to sales. If you are truly looking to accelerate your B2B lead generation growth, outbound email marketing is one of the absolute fastest ways to keep the sales funnel continuously topped up with warm leads. You can painstakingly collect emails of your prospects on your own through research online. The emails can then be added to an internal spreadsheet for sales and marketing teams to track and maintain. This option is not ideal as it takes a tremendous amount of time to both build and manage the list. Another option is to outsource the email collection task to a freelancer service like Upwork. This is a more cost-effective option, that will also save time. There are several personal assistant services that specialize in this very task. The fastest and most convenient way to acquire a cold contact list is to purchase one from a reputable data provider. This way, you can be sure that the list is of high quality, and is targeted towards your specific industry. Some options for purchasing a B2B email database provider list can be seen in this conversation on Quora. A reputable data provider can provide you with a verified business database in your selected geographic region. This is an outdated method of reaching an audience via email, and will not return the results your campaign deserves. Instead, create a direct one-to-one personalized message that speaks to your target customer and their specific pain points. Due to the “cold-call” nature of outbound marketing, only messages that provide immediate value have a chance of getting opened. Segment your email list based on audience type, because content that’s tailored towards a specific B2B buyer persona has a better chance of getting noticed in the inbox. Personalized campaigns have a much better chance at converting than blasting out a generic message to a large list. Clickback MAIL includes advanced list cleaning features that allow you to send 100% CAN-SPAM compliant campaigns to your cold contact list. Without scrubbing your email list first, you run the risk of damaging your sender score and negatively affecting your email deliverability. Outbound email marketing depends on a verified email list database, free of spam traps and inconsistencies. An email hygiene check is the key to lowering your bounce rate and maximizing deliverability. Your IP reputation is at stake, which is why an email lead generation software like Clickback MAIL is recommended. Our software runs your cold contact list through a variety of health and anti-spam risk checks on import. Email lists degrade at a rate of 30% per year. 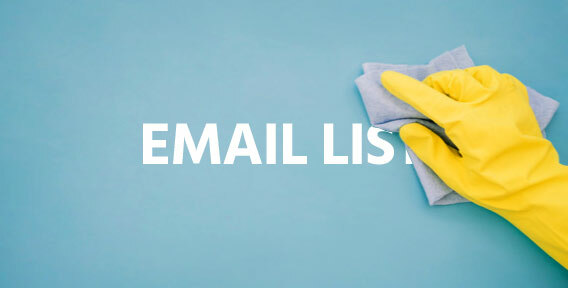 List cleaning is crucial in order to remove bad email addresses, moles, and spam traps. Don’t rush the subject line! A carefully crafted email subject line is your first impression with your audience. Without a compelling subject line, your email will quickly get lost in the crowded inbox of your prospect. The best way to get the attention of your reader is to offer a solution to a problem. By addressing your prospects pain points, you peak the interest their interest because they can quickly relate to your content. If you’ve successfully identified a problem and aligned your content with the solution, you should see your open rates reflect this. However, avoid making a statement in the subject line that achieves a higher open rate, but does not align with email body content. This will confuse and anger the reader as they may feel as if they have been misled. Combine an intriguing subject line with a high-value solution in the email body content. Premium content such as case studies, testimonials, and white papers are a fantastic way to provide value to your audience, and increase the chances that they opt-in or become a sales qualified lead. Software such as Clickback MAIL offers tailored campaign reporting. This allows you to analyze key data and set benchmarks to improve your campaign performance. You’ll be able to analyze metrics that validate which type of content speaks to your audience. By measuring the open rates and click-throughs of each campaign, you’ll quickly be able to identify whats working, and what’s not. Evaluate the results and re-test to continue optimizing your outbound email campaigns to their full potential. A drip marketing campaign can be deployed using Clickback MAIL, and is often an effective way to nurture your leads closer to your CTA. How should I space out my follow-up emails? 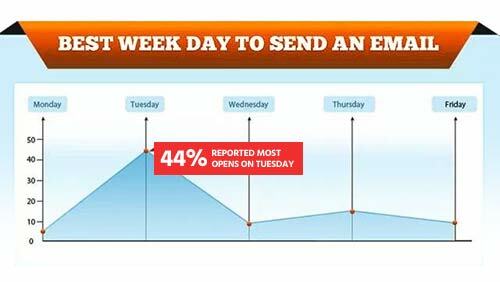 What day of the week should I send my campaigns? How long should the email be? Sending campaigns to a non-permission-based list will always result in a lower open-rate compared to an opt-in campaign. 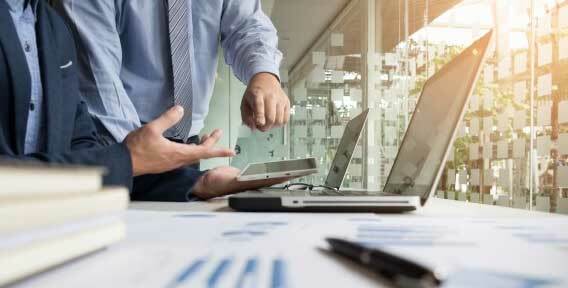 The key is to set realistic benchmarks based on the reporting you observe with your unique audience. Mixing cold contacts into your email automation service is a bad idea. You can quickly damage your sender reputation and ruin the deliverability to your opt-in list. Keep your permission-based list separate from your cold contacts – and focus on converting the cold prospects to opt-in. For a cold email list, use a software designed to effectively reach this audience. Clickback MAIL does all of the heavy lifting for you to ensure that your sender score and IP address remain squeaky clean. It seamlessly integrates into your existing marketing automation software or CRM to turn cold contacts into warm opt-in leads. Clickback MAIL is an email lead generation software tool that turns cold contacts into warm leads.